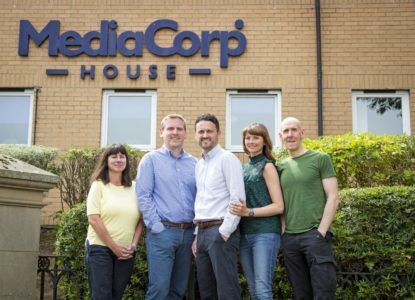 We have announced the acquisition of MediaCorp, the Hamilton, Scotland based online learning and e-portfolio provider. The company, founded and run by James Marshall will become part of the Learning Pool group. MediaCorp is both a Totara LMS platinum partner and developer of its own apprenticeship ePortfolio product, Proof Positive. We will use this acquisition to provide e-portfolio solutions to help our customers manage qualification and apprenticeship programmes as well as deepening the service delivery to MediaCorp customers. Speaking about the acquisition, Learning Pool’s co-founder Paul McElvaney said, “We’re delighted to welcome James and the MediaCorp team into Learning Pool. We’ve been impressed at what they have achieved and I’m delighted to be working with an extended team in Scotland who share our passion for customer service and creating positive business impact. James Marshall, founder at MediaCorp added, “Having the backing of an organisation like Learning Pool will enable the company to do what it does best for our customers – building great eLearning solutions that will make a genuine impact for customers and pushing the boundaries of the dynamic tech landscape. This is the second acquisition by Learning Pool in less than two years - the company acquired Mind Click a leading eLearning company based in Nottingham in 2016 and now employs over 140 people in Northern Ireland, England and Scotland.